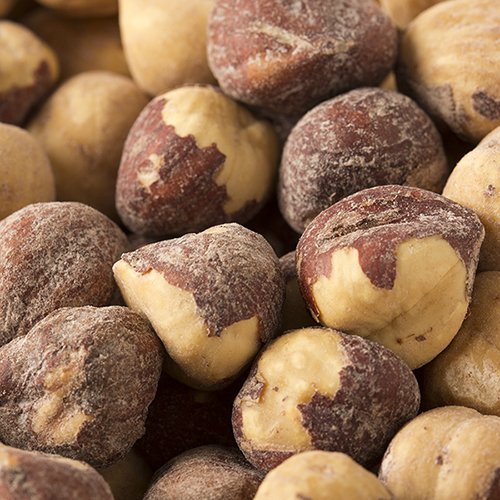 Our fresh dry roasted hazelnuts ground into hazelnut butter - nothing else added. Our fresh dry roasted hazelnuts ground into hazelnut butter - nothing else added. The freshness is incomparable; the nuts are roasted within 1-2 days of grinding them into nut butter, and are ground into butter shortly before shipping. 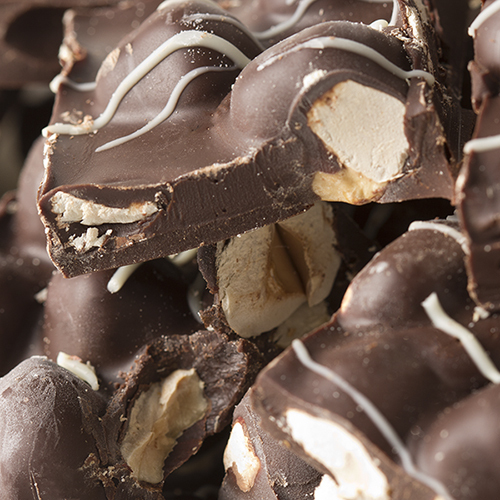 The crunchy texture with little bits of Hazelnut only intensifies the experience. 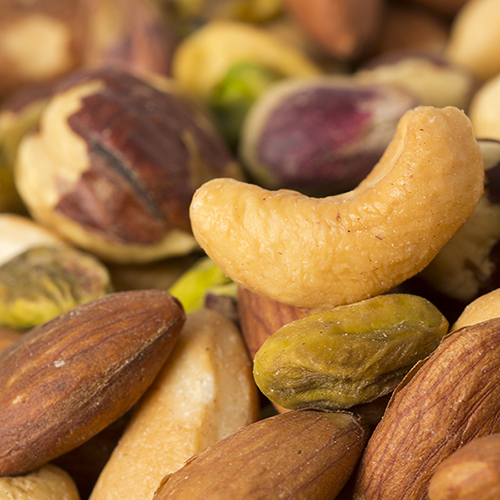 This distinctively flavorful nut is a rich source of dietary fiber, vitamin E, magnesium, and heart healthy B vitamins. Rich in unsaturated fats (mostly oleic acid) and calcium. Hazelnuts are good for your heart, help reduce the risk of cancer, and aid in muscle, skin, bone, joint and digestive health. NUTRITION FACTS: Serv. Size: About 2 tbsp (32g). Servings: About 14. Amount Per Serving: Calories 220, Fat Cal. 180, Total Fat 20g (31% DV), Sat. Fat 1.5g (7% DV), Trans Fat 0g, Sodium 0mg (0% DV), Total Carb. 6g (2% DV), Fiber 3g (12% DV), Sugars 2g, Protein 5g (10% DV), Calcium (4% DV), Vitamin C (2% DV), Iron (8% DV). Not a significant source of Cholesterol and Vitamin A. Percent Daily Values (DV) are based on a 2,000 calorie diet. INGREDIENTS: ROASTED HAZELNUTS. ***May contain traces of sea salt. Rare to find pure hazelnut butter...but it is sublime! One tablespoon will have you addicted! Excellent quality, excellent company to order from. It didn't last long....awesome taste and perfect consistency.You have yourself another faithful customer. This is a fabulous product, as are all of Fastachi's. Buy and then buy more!!!!!! I've tried half a dozen different brands of hazelnut butter, and yours is the best I've tried. It has a nice spreadable texture (but not too runny), and nice fresh flavor, keeps well in the refrigerator but doesn't contain any unnecessary or unnatural additives , and is cost competitive. What more could anyone want? Fastachi's hazelnut butter is the best healthy snack ever... or breakfast or lunch! I most often eat it atop an apple or banana, but I've also been known to mix into vanilla gelato to make a crunchy version of the famous Italian Nocciola gelato. This butter is absolutelly amazing! I Justin add Cocoa AND stevia and got natural nutela! The butter tasta delicious-is rich and creamy,, yet you feel THE real hazelnuts melting in your mouth....yam. I Highly recommend! This is the best hazelnut butter ever!!!! The taste, the consistency, everything is super tasty! Fastachi is my favorite nut butter producer, do come to NYC please! I lived in Germany for many years and hazelnuts are the nut of choice. I ate Nutella and many off-brands years before it was available in the States. I can't have a lot of sugar so I bought this for the wonderful hazelnut taste and it did not disappoint! Hazelnut butter can be difficult to find so I am excited that I found it at Fastachi. I took some and mixed with some cocoa powder and a little honey and it was um-good. We all love the hazelnut butter. It's a nice change from peanut butter for the kids and adds an elegant touch to even everyday toast. I love all nut butters and have a big collection at home, but this one is just out of this world. I have to say that I waited to order until I had a chance to receive free shipping and will absolutely reorder this product. Fabulous! I love hazelnuts and it is hard to find hazelnut butter in NY, people think Nutella is hazelnut butter but it is nothing else but full of sugar and things we don't really need. So hard to find hazelnut butter and this is the best ever! Delicious with on toast, crackers, pretzels, fruit/veggie slices, and in baking. I could not resist sending this along with some other nuts to my dad as a gift. The next time I have to send as a gift to myself! If you love hazelnuts, and I do, then the Fastachi hazelnut butter is amazing. I spread it on apples. So good. Has anyone tried this delicious crack? Amazing flavor. Just wish it were a little smoother. I purchased this as a gift for a coworker ( we volunteer together ) who had mentioned he was looking for hazelnut butter. I gave this to him for his birthday and he constantly tell my husband and I how Yummy it, I now know what he will be receiving for future gifts :-) I would suggest you tell the size of the containter - unless I missed it I could not find the size I was getting. I was pleasantly surprise to see I was getting 16oz of Hazelnut Butter. Now I would like suggestions different way you can use this . Thanks ###Some suggested uses... toss it with some warm noodles, whisk it into a vinaigrette, use it in pie or tart crust, as a dip or just eat with a spoon. 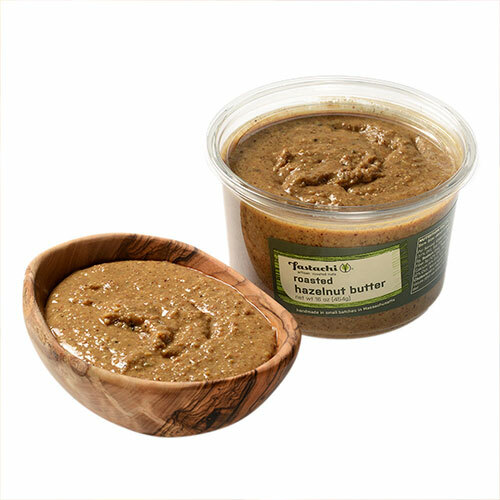 The hazelnut butter is the best, a very good combination of crunch and smoothness and only hazelnuts nothing else. Incredibly fresh taste! I used it to make nutella--just add chocolate, sweetener, coconut oil (or cacoa butter). Best nutella ever and so healthy!